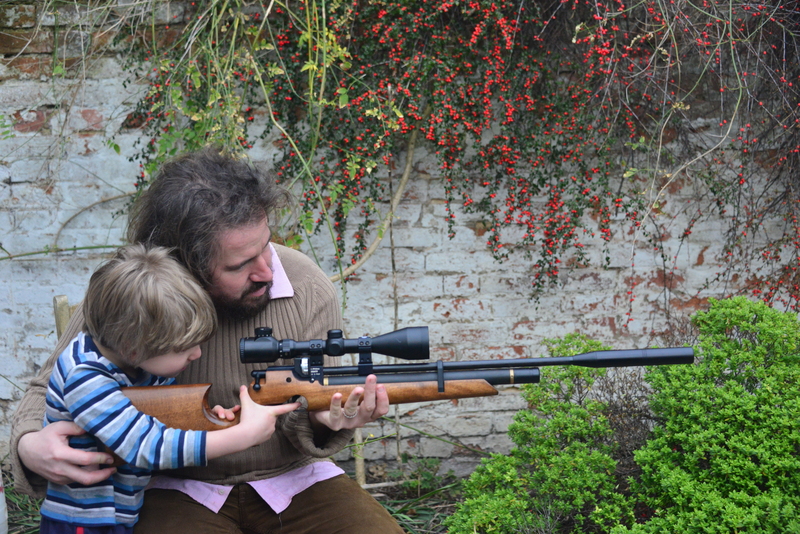 This afternoon I decided to teach the wife and my little boy about air-rifles. I love air-rifles, and for many years chose not to use rimfires ( a small caliber, live-ammunition rifle, that is much more powerful) because I’m happy with the air-rifle’s ability to kill cleanly and put plenty of food on the table. In fact, I was so good with an air-rifle that the head-shot game I was capable of providing carried a premium price at the game dealers and restaurants and I was able to pay for nearly all of my shooting with this income. I could earn £100 per week – and for a 14-year-old boy, that’s good money. Nowadays, PCP (Pre-Charged Pneumatic) rifles are very accessible. In my younger days they cost thousands of pounds (which is why I would get such a good price for my game). Now guns like the Air Armes S200, which I taught the wife with today, are available for around £400 new, and much less second-hand. With the cost of 500 good pellets being around £10, it’s a very cheap way of getting into shooting. I like to make my own targets, but you can download plenty from the internet. 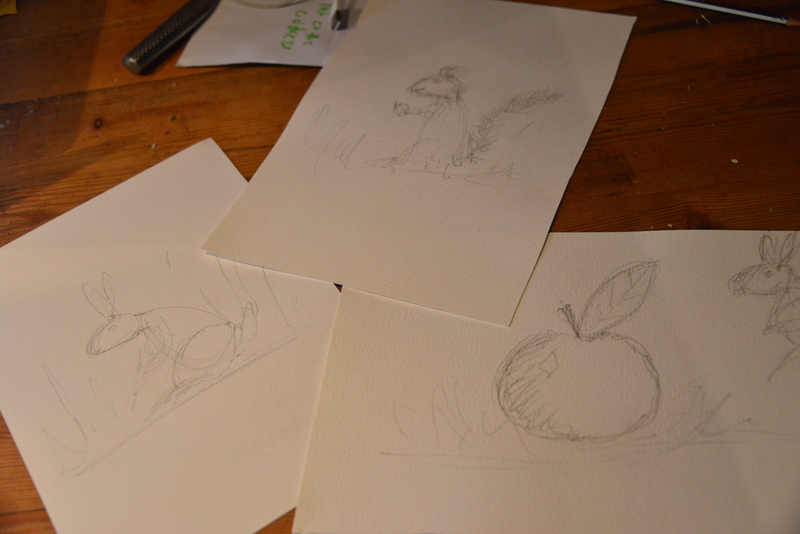 I think it’s important to teach my little chap Charlie where our food comes from, so targets are usually of things we eat – it’s rabbits and squirrels today. 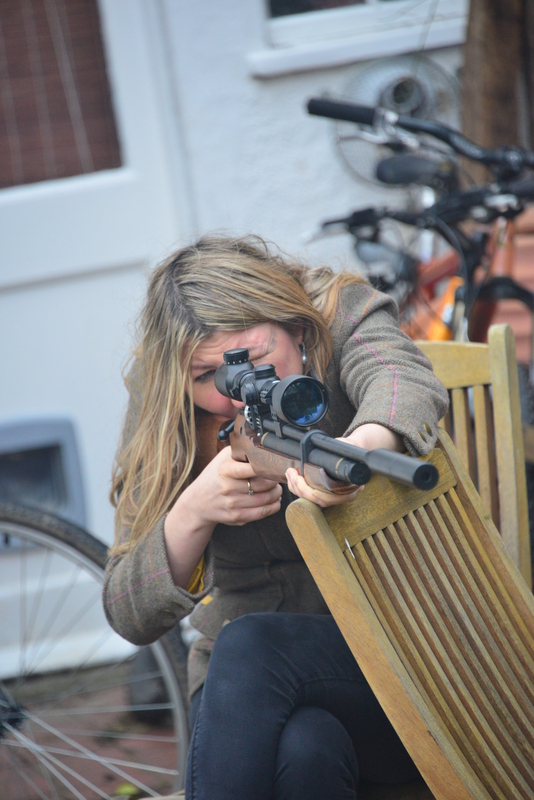 Today’s lessons for Abby were to use the balance point of the rifle when standing to give a more steady shot or, if possible while hunting, to use a rest to support the gun – it takes the tiring weight of the gun and is nothing to be ashamed of. Also not all targets sit still so I wanted to encourage her to take her time and shoot when the target was not moving. 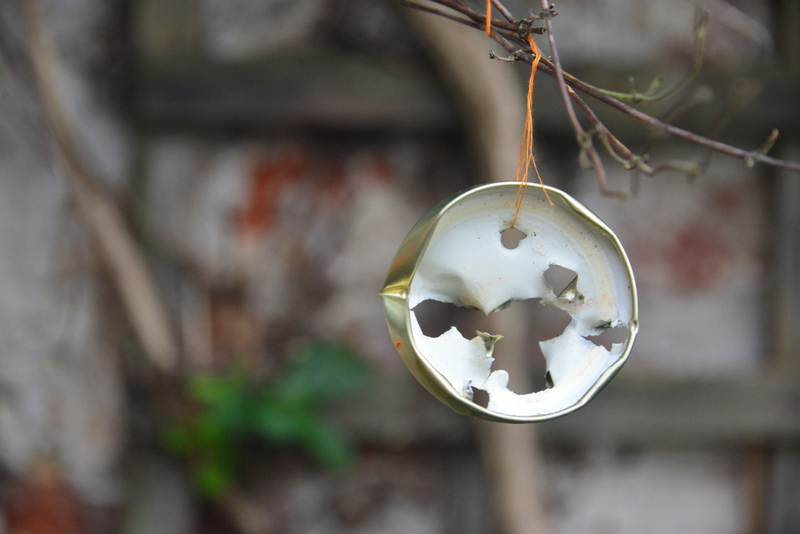 To do this, I used a jar lid tied to a piece of cotton that moved in the wind, to add an element of unpredictability. 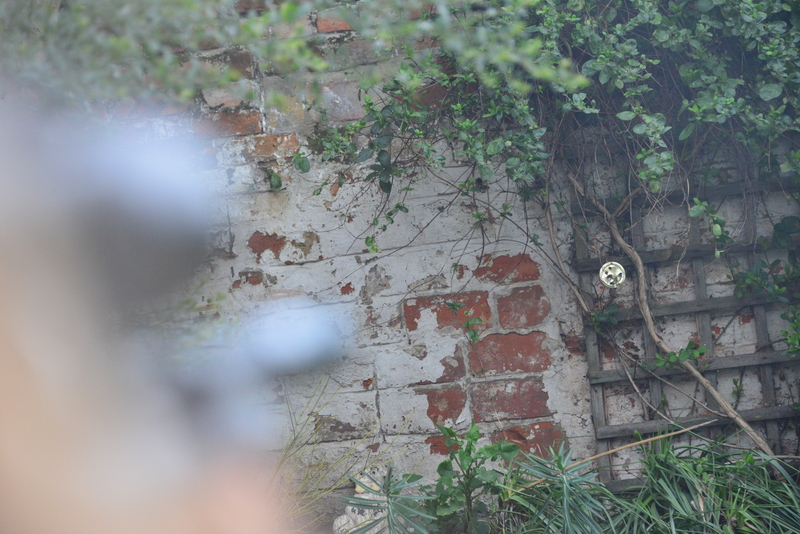 You are fine to practise with an air-rifle in your garden as long as you have a solid backdrop such as a wall to make sure no pellets leave the boundaries of your property.